Yang Family Tai Chi Large Frame 108 Form: This traditional Form is also known as the Yang Cheng Fu Large Frame Public form. 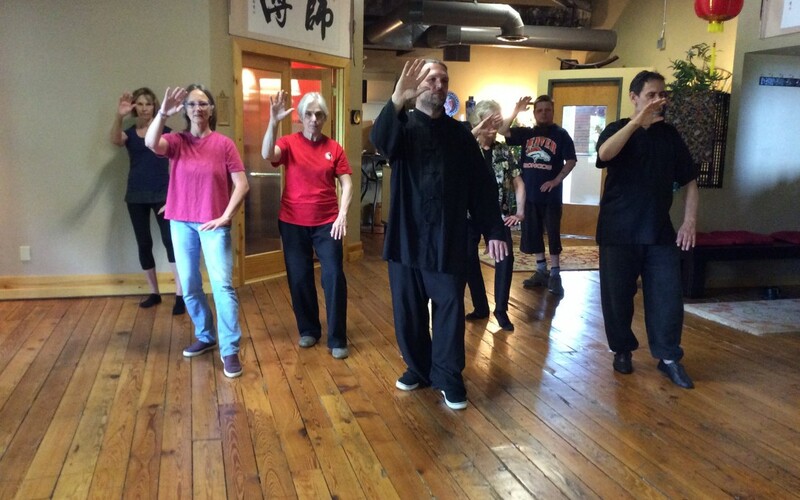 Tai Chi is a form of “moving meditation” practiced with slow, relaxed, and flowing movements. The art is ideal for those seeking gentle rehabilitative exercises for reducing stress, and/or to study “inner power” or your “true nature” through calmness. It is a low impact exercise that emphasizes balance, grace, and fluidity of motion. 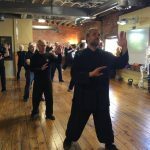 As you learn the Large Frame form of Yang Cheng fu you will focus on physical body alignments (body structure) and methods of moving (body mechanics) to prevent and heal various injuries as well as making both body and mind stronger more relaxed and focused. The large frame specialty is large expanded movements emphasizing what we refer to as Peng Energy in the body. 100 Day Tai Chi Challenge!